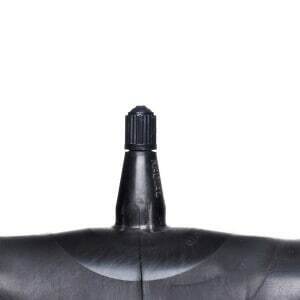 Our inner tube range covers every popular size and application. Simply search our catalogue & buy online! For assistance please call us on 01159 940 900, or alternatively live chat or message us & we will be glad to help! The tube size you need is normally the same size, or very similar to, the tyre size written on your tyres sidewall. Tubes are flexible and do cover a range of sizes so often a couple of options may be available. You can also use the buttons below to start searching by tube rim diameter if you prefer. Inner tubes often come in a variety of valve options that suite different wheel rims and different applications. Use the icons below to view our range of inner tuber by valve type. As a rough guide, Car, Trailer, Turf and Quad often use TR13 valves, Agri machinery often use TR15 and TR218 valves, forklifts often use JS2 valves, and trucks use long stemmed bent metal valves. 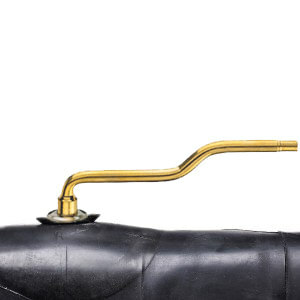 Understanding inner tube sizes & searching for the size you need can be tricky. This guide answers the most common questions the Big Tyres Team get asked! 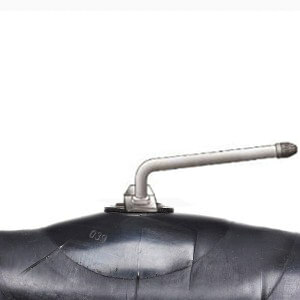 The inner tube size you need is determined by the size of the tyre it is to be used in, but inner tubes are flexible and will usually fit a range of tyre sizes! If you don't know what your tyre size is our Tyre Size Guide will help you work it out. Once you have that you can search for an inner tube that matches that size, check the valve type is correct, and you're done. As inner tubes are flexible, your exact size may not be there, if that's the case then please ask us to recommend an inner tube for you! 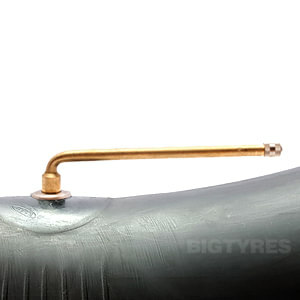 How Can Tubes Fit a range of Tyre Sizes? A trailer tyre inner tube could be marked up as 135/145/155-12, which means that it is suitable for tyre sizes of either 135-12, 145-12 or 155-12. 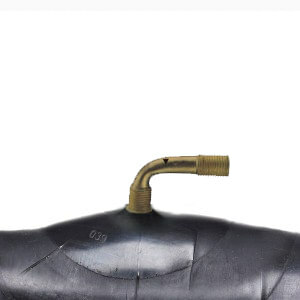 A lawn mower inner tube could be marked up as 23X8.50/10.50-12, which means it is suitable for tyre sizes of either 23X8.50-12 or 23X10.50-12. A tractor inner tube could be marked up as 16.9-24 and 420/70-24, which means it is suitable for tyre sizes of 16.9-24 or 420/70-24. 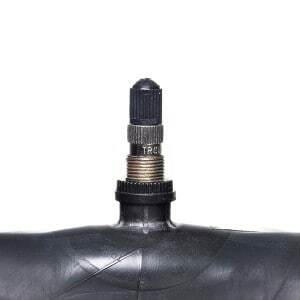 Does the Quality of Inner Tubes Vary? 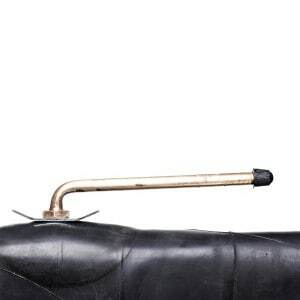 Inner tube quality varies from manufacturer to manufacturer. The mix of natural rubber, synthetic rubber, carbon black and other chemical compounds determine the tubes strength, durability and it's overall quality. At Big Tyres we sell good quality tubes from manufacturers that have been tried and tested over the years. 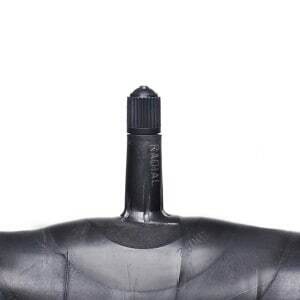 Be careful when buying inner tubes from other sources as there are some very poor quality tubes on the UK market at present. Poor quality tubes fail sooner and cost you more in both down time and in replacements. What Valve Do I Need? 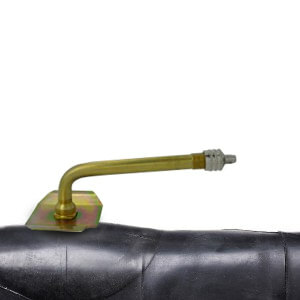 Straight Rubber Valves - The valve is made of rubber so is inexpensive & durable. The TR13 valve is the most common, used on car, trailer, quads, lawn mowers & some smaller agri machinery. It has a thin and straight valve stem. The TR15 has a wider / fatter valve stem so is used in wheels that have a larger valve hole, typically larger agri machinery or landrovers. Straight Metal Valves - The Valve is made of metal, so is stronger & more robust than their rubber counterparts. They are often used in high pressure applications, and when there is more risk of the valve being caught/knocked by hazards. The TR4 / TR6 are used on some quads. 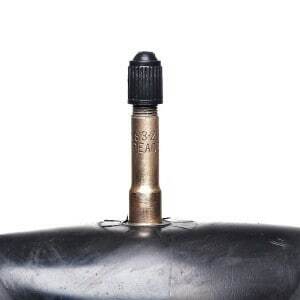 The most common is the TR218 which is an agri valve used on most tractors as it allows water ballasting. 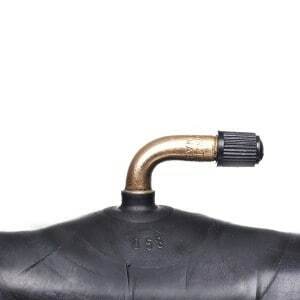 Bent Metal Valves - The valve is made of metal, and has a bend in it of varying degrees. 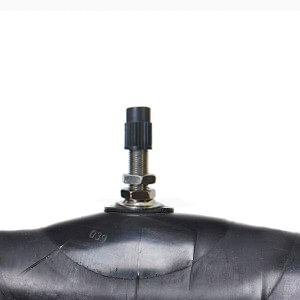 The bend is usually to keep the valve stem from catching on hazards as the tyre turns, or to avoid it hitting the wheel rim if space is limited. They are common on trucks and materials handling machinery like forktrucks, sack trolleys & wheelbarrows. Forklifts usually use a JS2 valve. 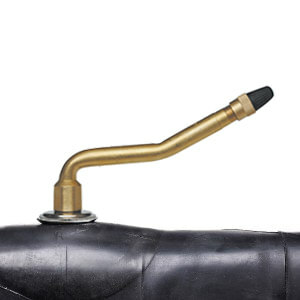 Small machinery like sack trucks use the TR87, and lorries / trucks use the long stemmed bent valves such as the TR78. 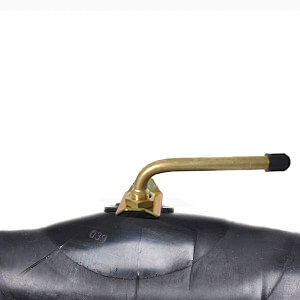 Air/Water Valves - The TR218 valve is straight metal valve that allows water (as well as air) to be pumped through it in order to water ballast tyres/machinery. They are commonly used on agricultural machinery like tractors. 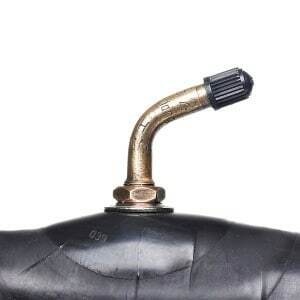 Inner tubes are pretty useful things, and every day we help advise people who are using them for all kinds of uses. So whether you need an inner tube for floating down a river, building your charity raft creation, or for a quirky shop window display, then we are happy to help. Please get in touch with your requirements and our team will point you in the right direction. As a quick pointer, decide roughly how large you would like the gap/hole in the centre of the tube to be (that's called the rim size and it is measured in Inches). Then, decide roughly how large you would like the total diameter of the inflated tube to be (height of the tube if you stood it up-right next to you). If you can give us that information we can advise on some options for you. If you would like to search for yourself, then the rim size can be inputted into the tube finder on this page, however, the approximate height of your tube will sometimes have to be calculated as it isn't always stated in the size marking sadly. Please contact us for any additional help and information.